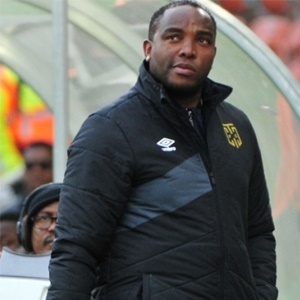 Cape Town - Cape Town City head coach Benni McCarthy has launched yet another scathing attack on the Absa Premiership officiating by claiming they are responsible for poor results. With the last ten South African top-flight fixtures ending in stalemates, fans and media have questioned the lack of finishing prowess in the division. However, McCarthy feels the referees have influenced results dramatically after his side somehow managed to steal a 2-2 draw with Golden Arrows on Saturday. Ayanda Patosi's 79th minute penalty and Thabo Nodada's deflected 88th minute shot canceled out Siphelele Magubane and Jabulani Shongwe's earlier efforts from the men from KZN. "You want my honest opinion? It’s bad refereeing, that’s what’s causing us to draw," McCarthy told reporters after the game at the Princess Magogo Stadium. "Why must I shy away when the referee can tell a player to f*#k off and you must say the referees are good? That's what's causing the problem. "And as a coach and players you must be so frustrated standing on the side and seeing it happening week in and week out. "Every game is the same thing and you as coaches must just keep quite because if you don't you are going to get fined [or] suspended. "That's what’s causing the draws because you don't have the best officials." The point left the Citizens in third place, one point behind leaders Baroka FC and level on points with second placed Arrows.